Chances are some of your wedding guests don’t live in the city where you’re getting married, and there are some important things to keep in mind especially for them. From logistics to tokens of appreciation, these are all the things you need to make your out-of-town wedding guests feel right at home. The most important thing to note is that hotels vary in terms of how they block rooms. Some hotels require you to block a set number, pay a deposit, and be financially responsible for all unsold rooms you blocked. That’s not an ideal situation, but it might be necessary if your wedding is in a town with limited accommodations or coincides with a huge event. Some hotels can be more flexible and offer a discounted rate to guests without blocking a certain number of rooms, but you run the risk that the hotel could fill up before all your guests make a reservation. On the bright side, some hotels can block a set number of rooms without a deposit and will guarantee those rooms and rates until a specific date. Because there are so many possibilities, we suggest you start your search early and encourage your out-of-town guests to reserve their rooms as soon as possible. Some hotels provide shuttle service to/from the airport, and some even provide shuttle service to/from certain destinations if they are planned in advance. When you call to reserve your room blocks, ask about any transportations services they can provide, as well. The prices will vary by hotel, so make sure to ask the rate so you can let your guests know in advance. If the hotel(s) don’t have a shuttle, take some time to consider how your guests can get to the hotel and to the venue. What is the best form of public transportation, where are the pick up and drop off points, and what are the rates? Is ride-sharing available in your city? Would it be possible to connect your out-of-town guests with in-town guests to set up carpools? Do you have a rental car company to recommend? Most of your out-of-town guests can probably figure those out on their own, but it is nice to provide guidance so they can plan ahead and don’t have to stress about it on the actual day or weekend. While you’re focused on your big day, you’ll want your out-of-town guests to have plenty of things to do once they get into town. So, put together a list of your and your fiancé’s favorite places to eat and drink and activities around the city. You could even do a little research to find out of if there are any festivals, live music, or special events that they might want to check out. Sure, they could use Google to find places to go, but this is a great way to not only introduce your city to your guests but you also get to share little nuggets of your everyday life with them. Anyone can find a Starbucks for their morning coffee, but not everyone will know which coffee shop you and your fiancé love for your lazy Sunday coffee dates. And we bet most of them would love to know that! So, when you’re compiling your list, consider adding a little note about why you recommended those places. It’s that little something extra to connect with your guests and help them feel totally welcome. Inviting your out-of-town guests to pre-wedding and/or post-wedding get togethers is another surefire way to make them feel welcome. Do you and your fiancé love the outdoors? Invite your guests to go hiking or kayaking a day or two before the wedding. Are you beer lovers who spend your weekends enjoying local breweries? Ask your guests to join you for a mid-afternoon pint. We’ve even seen couples skip the traditional rehearsal dinner all together and open up dinner to anyone who is in town. And the party doesn’t have to end with your reception send-off. If you’re a night owl or just don’t want to the party to end, ask your guests to head to your favorite bar for an after party. We also love the idea of wrapping up your perfect wedding weekend with a day-after brunch to spend quality time with anyone who is still in town and say your final goodbyes in a more casual setting. One of the best ways to eliminate stress and limit the number of calls to your designated contact is to create a comprehensive timeline of your wedding events. Whether your guests are invited to events over multiple days or just the wedding day itself, organizing everything into a visual timeline is key. For each event, you should include the following: name of event, name and address of the venue, date, time, and dress code. We even recommend including the ceremony and reception information so your guests have every detail they need in one handy place. If your out-of-town guests are invited to pre-wedding or post-wedding events, make sure to let them ahead of time so they can pack appropriate attire. Not sure where to start? There are some great wedding timeline templates on Etsy to help you create beautiful printables in no time! Your out-of-town guests will be making an extra special effort to attend your wedding, so we think welcome bags are a must to show your appreciation. The best part is that you can really flex those creative muscles and you don’t need to spend a lot of money to make something truly special. At a minimum, you should include a little something to eat and drink to ease your guests out of their travel day. Bottled water is a must, but you could also include a local beer, a bottle of bubbly, or another local favorite. As for snacks, make sure to give a savory and a sweet option to satisfy every craving. Then add a couple of personal details, such as a cute souvenir, a candle, or even a stamped postcard they can send home. Round out all those goodies with the information essentials: a map, the weekend itinerary, your list of local recommendations, and the information for your designated contact. Finish it all off with a personalized thank you note and wrap it all up in a cute paper bag or reusable tote. A welcome bag is a simple, thoughtful gesture that your guests will love! Just make sure to let the hotel know that they need to give each guest a bag when they check in. One of our Junebug couples created wedding weekend mix CDs and sent them to each of their guests a week before the big day, and we absolutely fell in love with the idea! You and your fiancé could make it a pre-wedding date night where you go through all your favorite music and create either physical CDs or a Spotify playlist that sets the tone for your weekend. It’s the sweetest, most unexpected finishing touch that will make your out-of-town guests’ travel day so much more enjoyable, whether they are flying or driving. You’ve got your hotel blocks set, your transportation ideas brainstormed, your schedule ironed out, and your list of recommendations ready. What do you do next? Put all of that information your wedding website! Yes, all of it! Even if you created printable itineraries and lists for your welcome bags. Your website should be your one stop shop for all your wedding details — trust us, this will be your out-of-town wedding guests’ most used resource. If you’re not sure something should be included, the answer is probably yes. 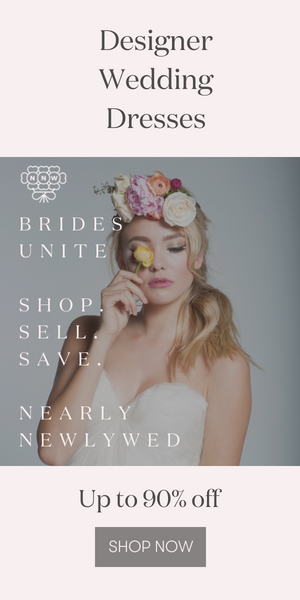 But we’ve also got this handy checklist that has everything you need to include on your wedding website so you can triple-check yourself.